We use a combination of mathematical theory, field research and lab experiments to understand the evolution and ecology of reproduction and how social interactions among individuals arise and evolve. Our work aims to provide novel insights into old questions and increase our ability to explain and predict the diversity of reproductive patterns observed in nature. We mostly study fish. 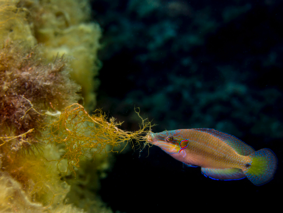 This is mainly because of their striking diversity and impressive plasticity in social and reproductive behaviors. 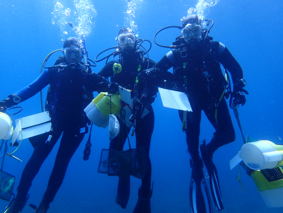 But we don't mind at all that the fishes we study are often found underwater and in some very nice locations!